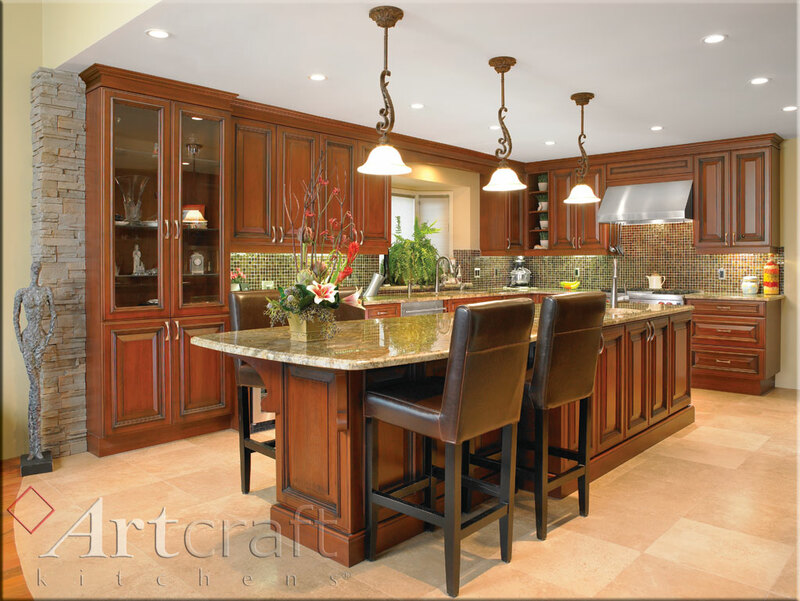 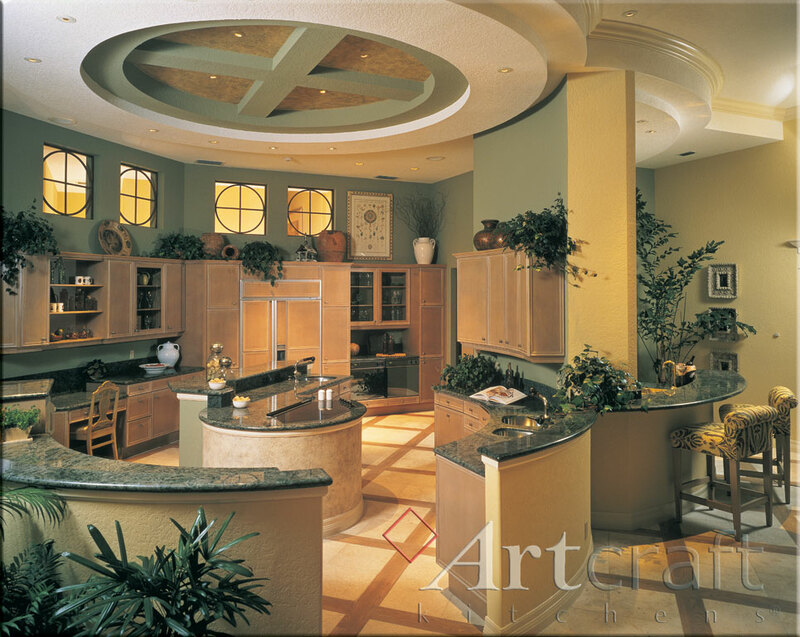 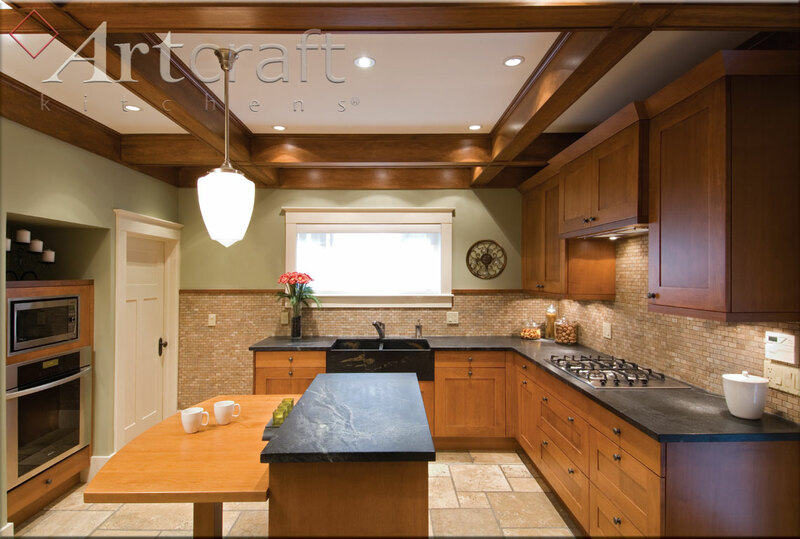 Artcraft offers a variety of framed door designs in this Collection with either raised or recessed centre panels in maple, cherry, oak, walnut or MDF. 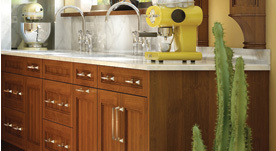 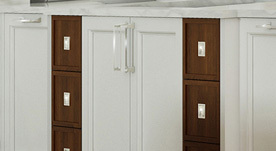 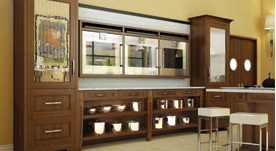 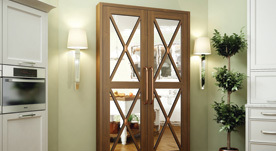 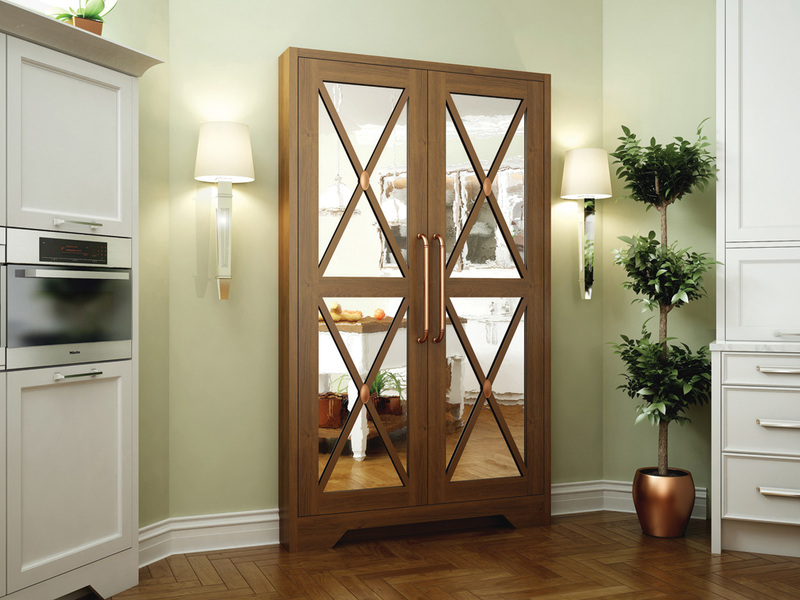 Wood doors are available in natural or stained finish and may be further enhanced with traditional techniques such as glazing, distressing or fly-specking. 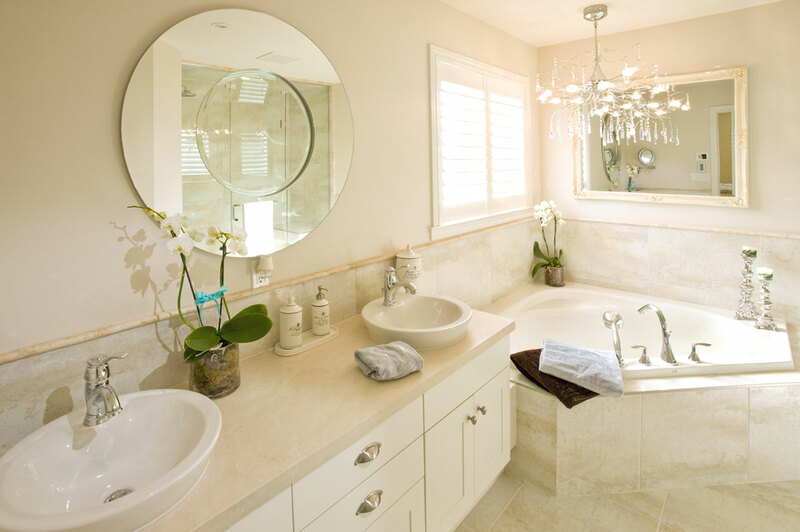 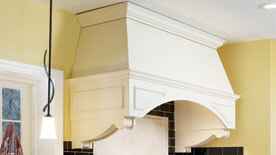 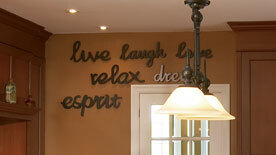 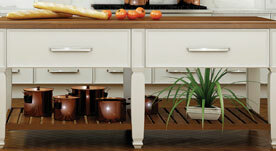 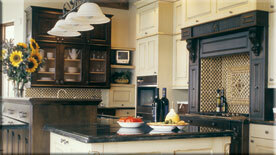 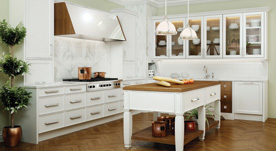 Painted finishes include pigmented lacquers, hand-dragged finishes and patinas with rub-through. 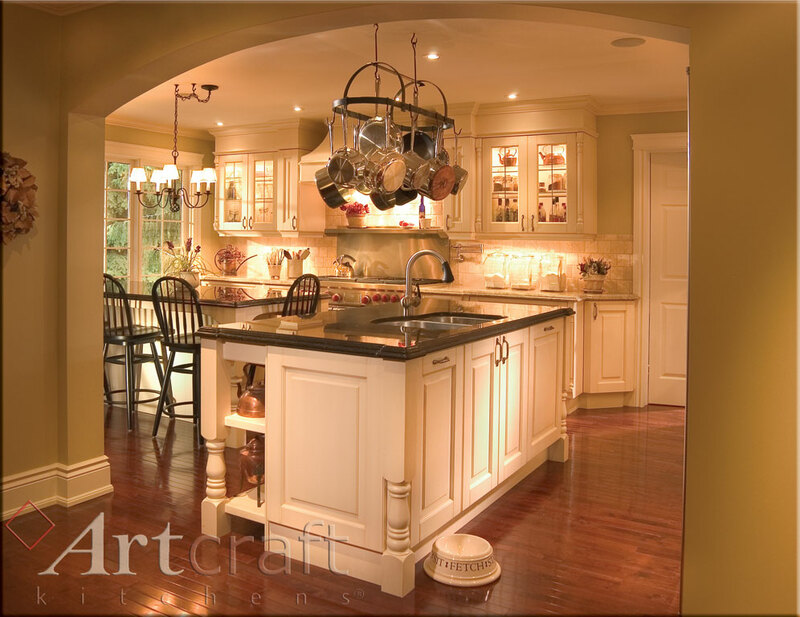 Ornate, decorative elements such as pilasters, columns, mullion or lead glass doors and profiled mouldings are typical of Traditional Designs. 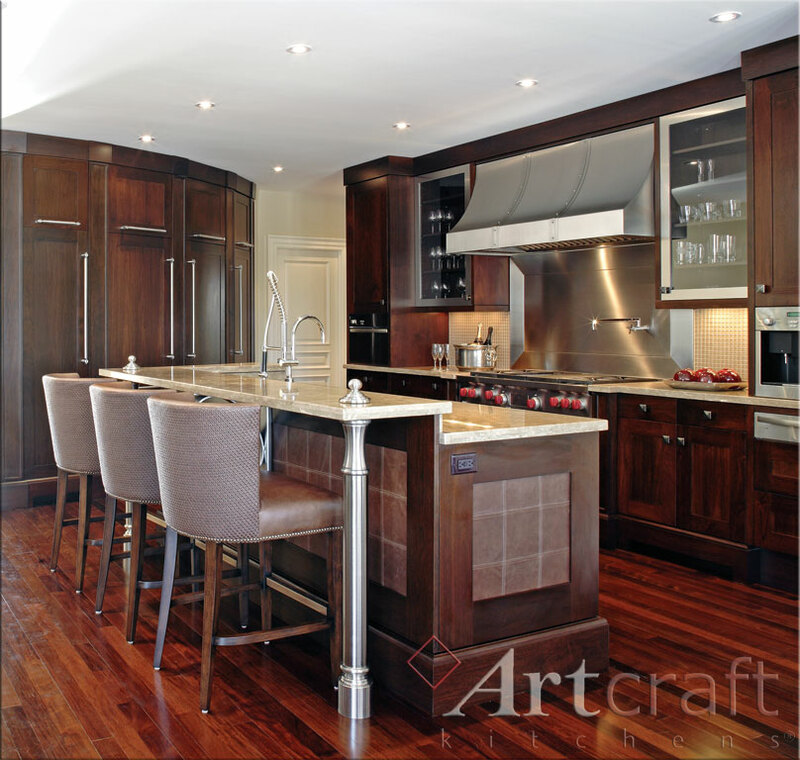 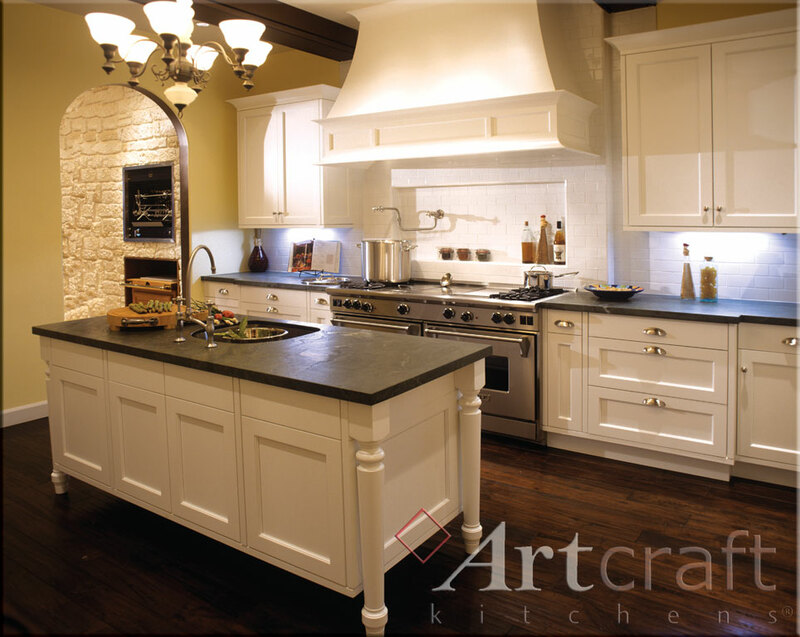 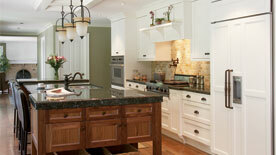 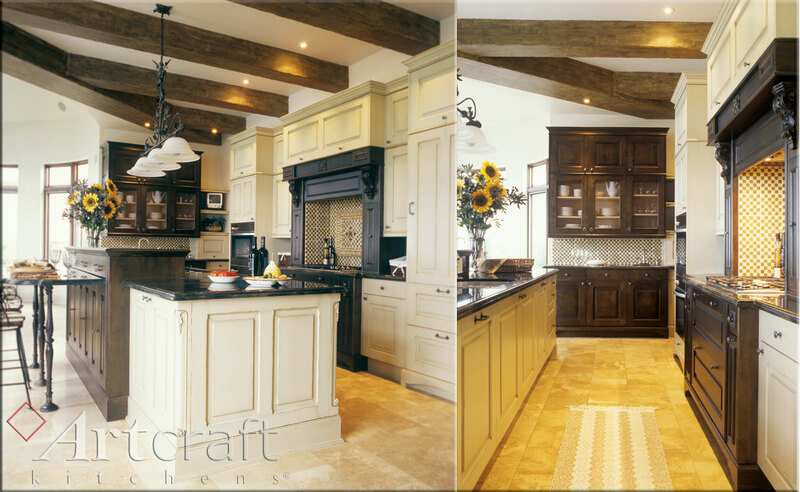 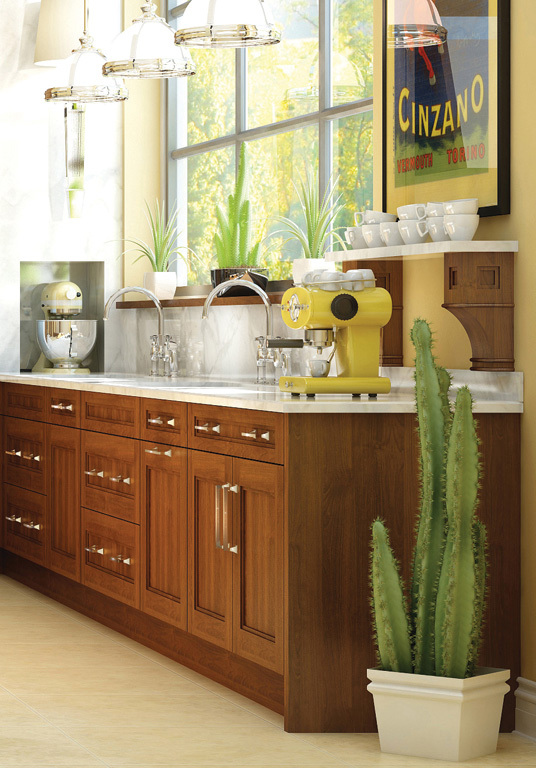 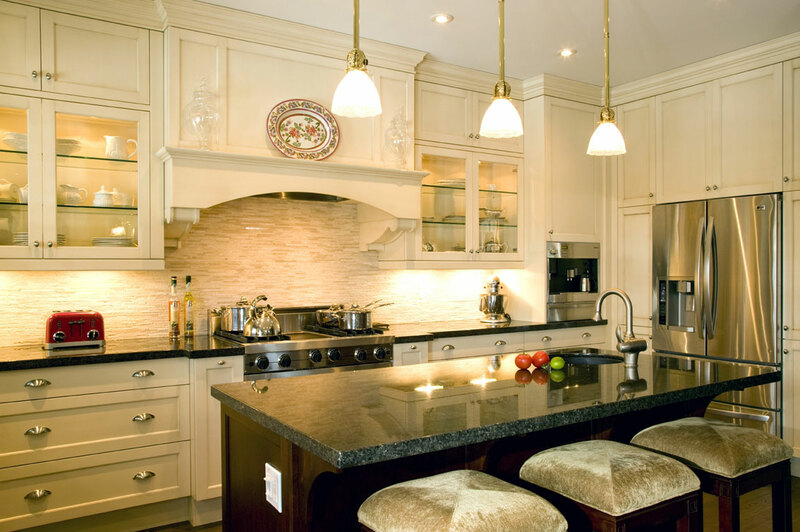 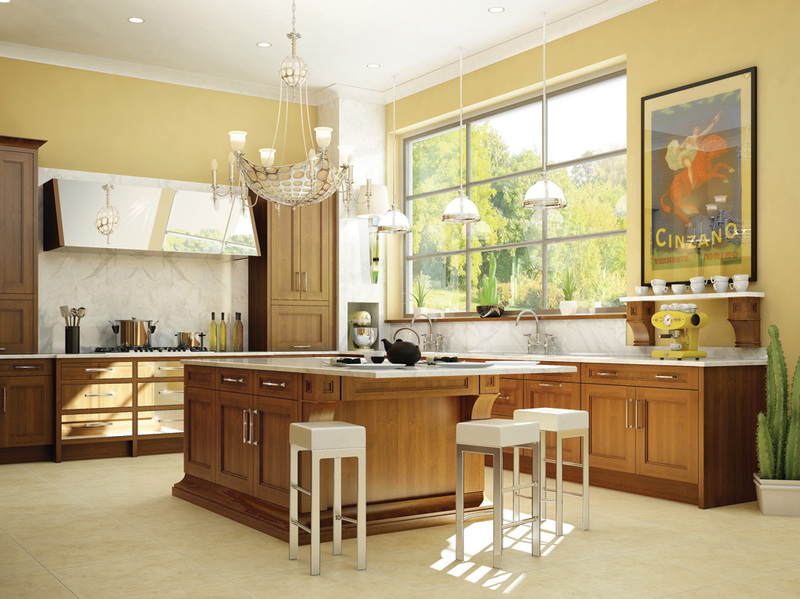 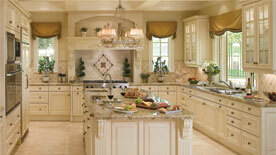 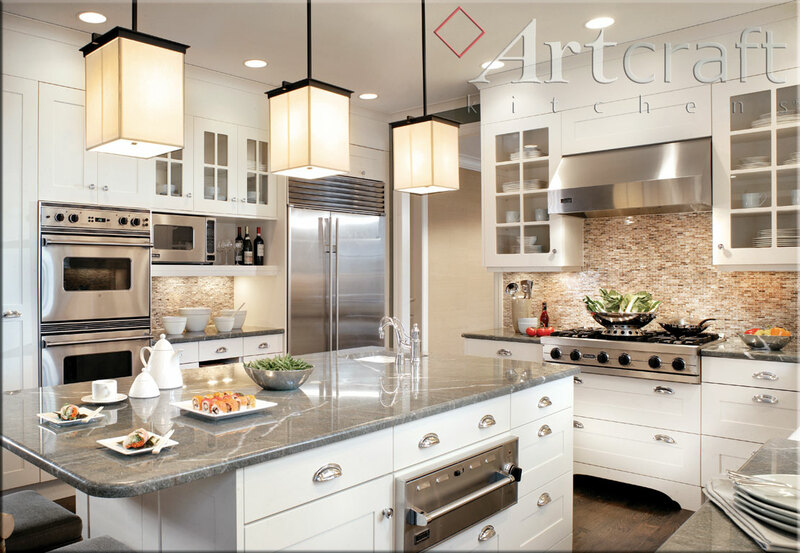 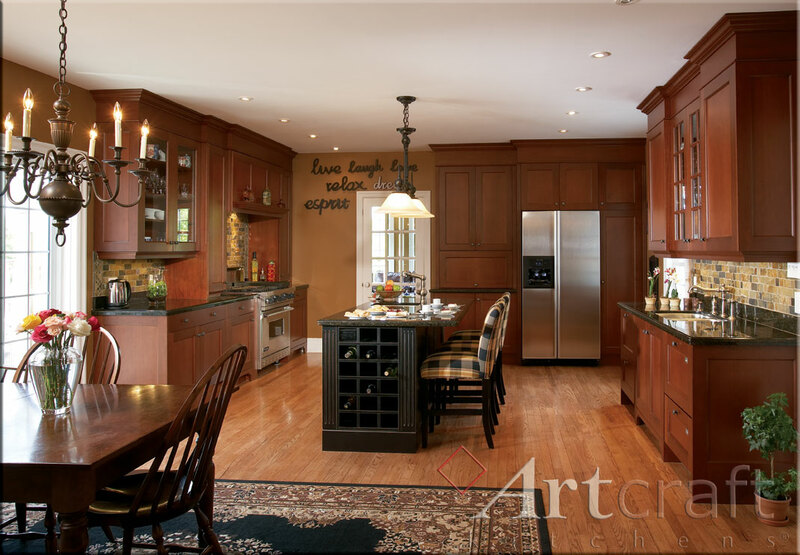 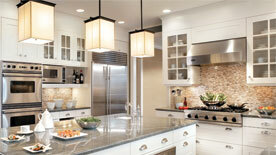 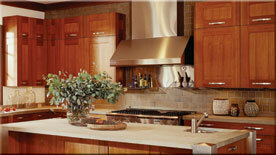 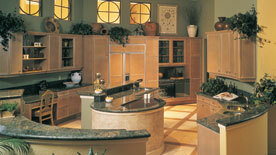 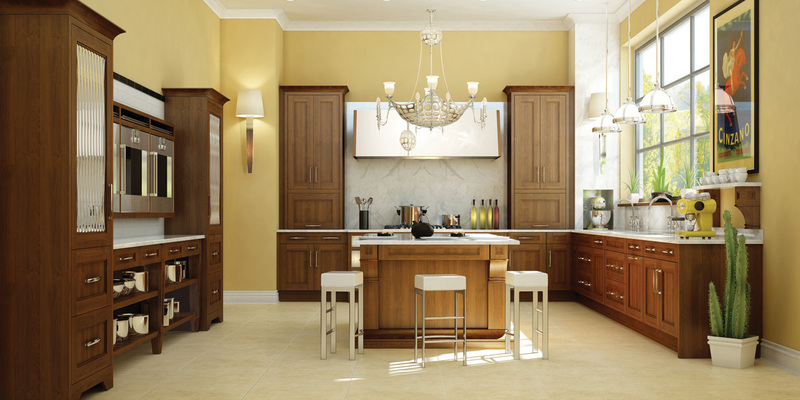 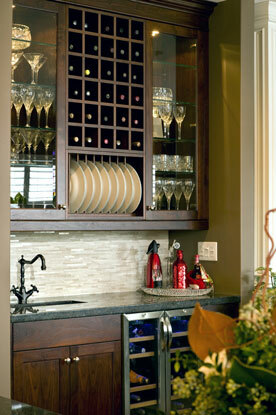 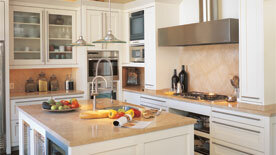 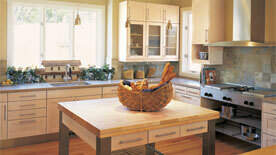 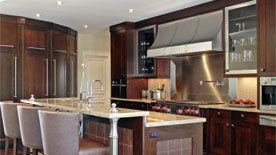 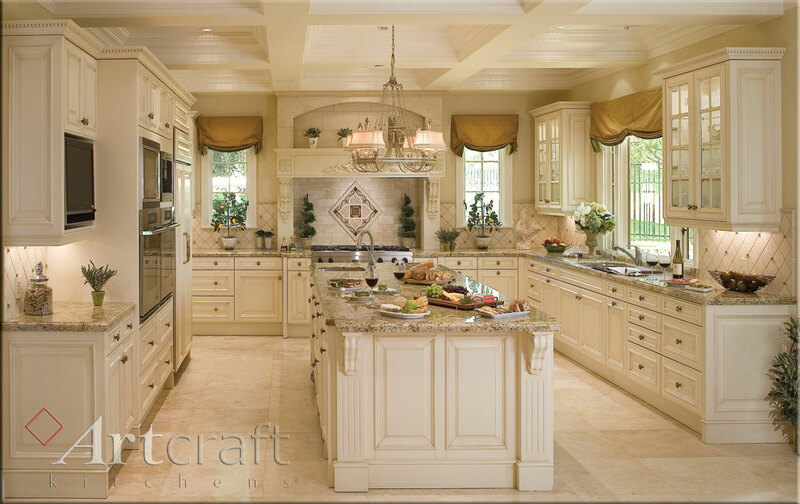 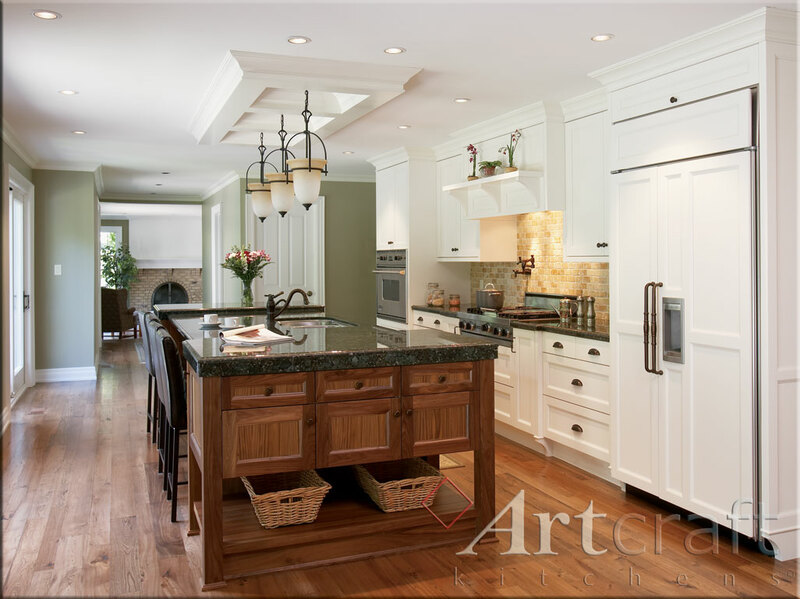 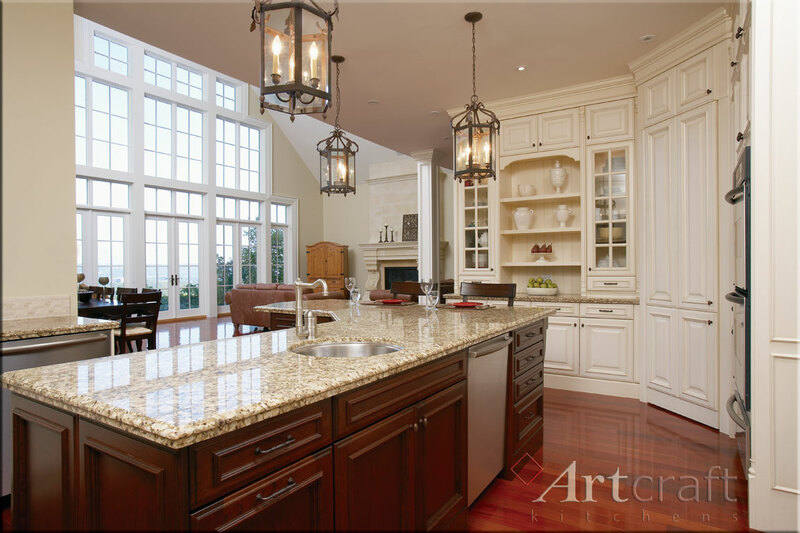 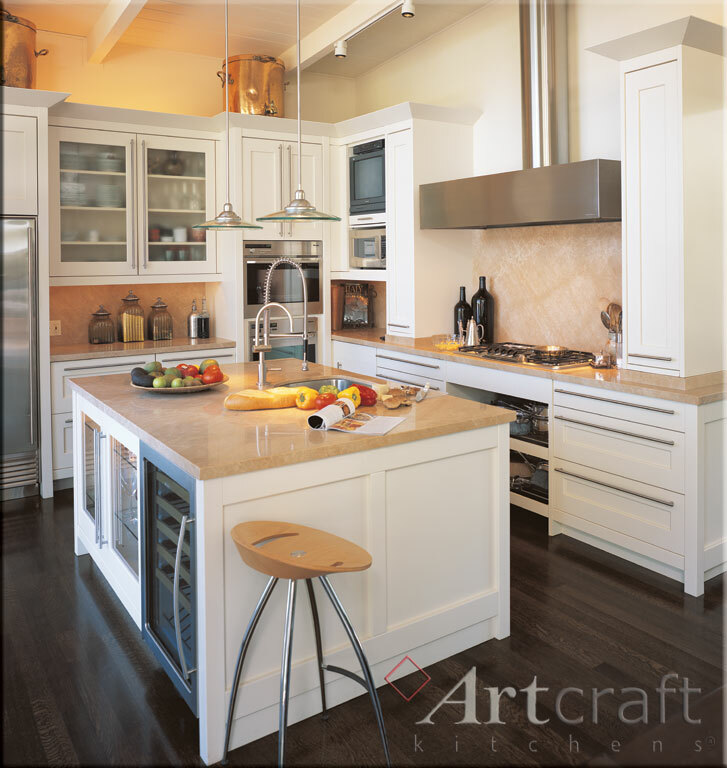 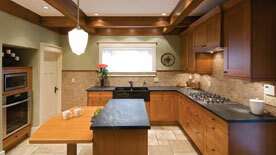 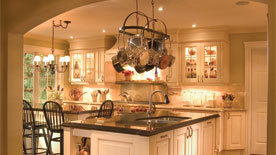 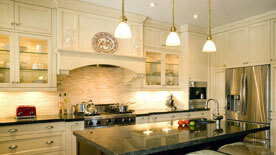 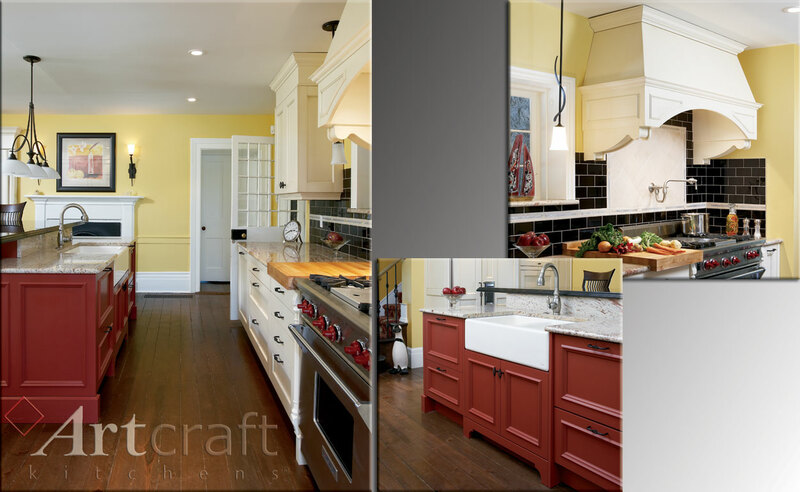 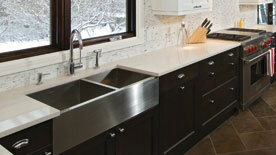 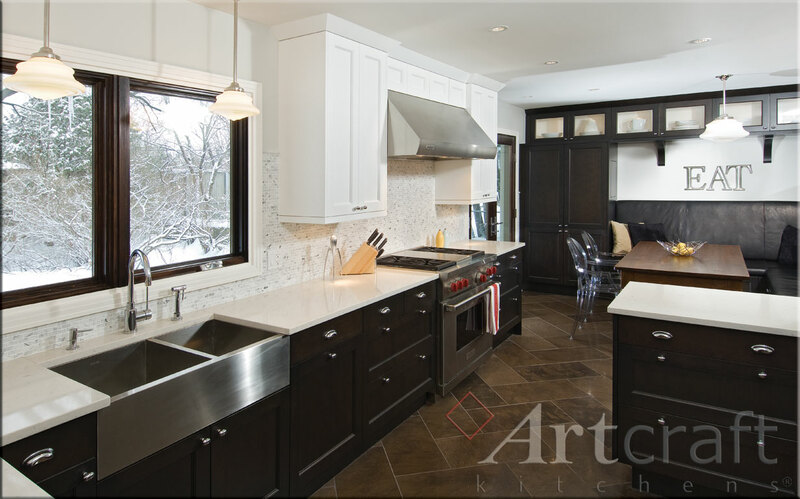 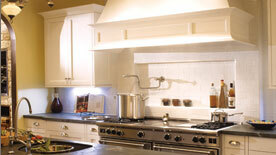 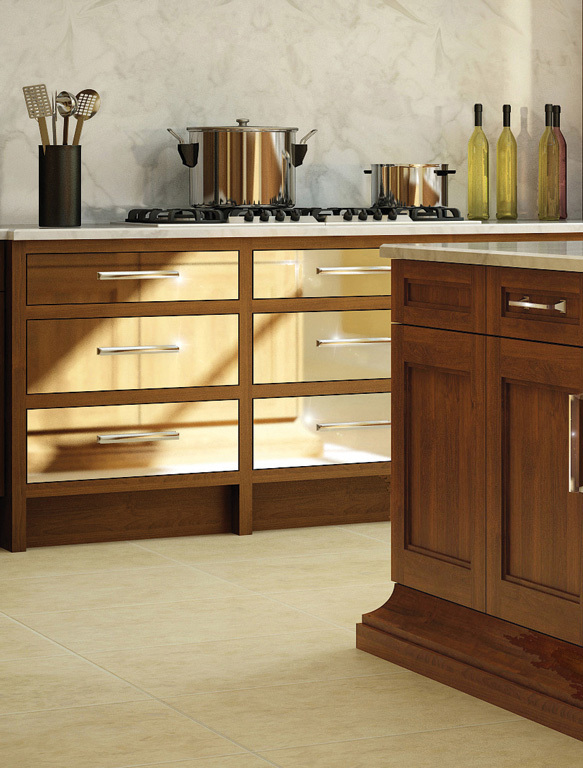 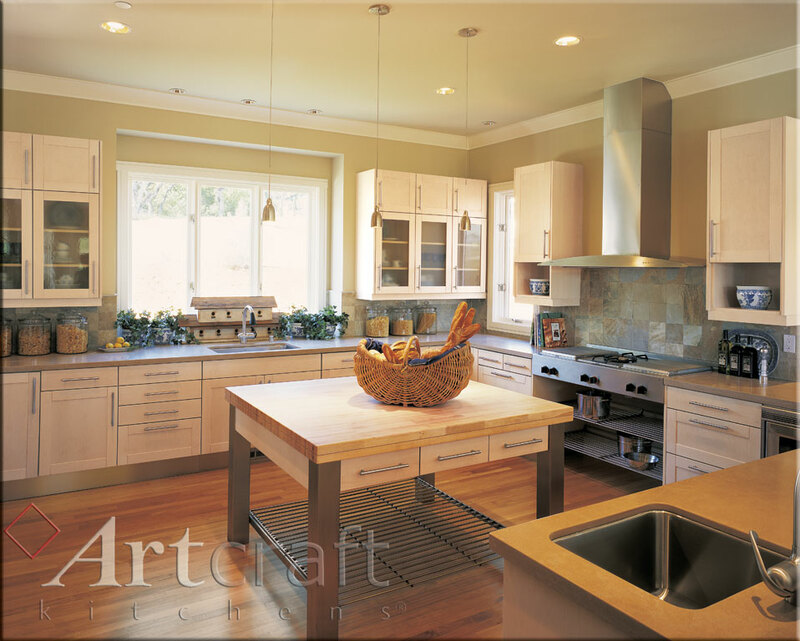 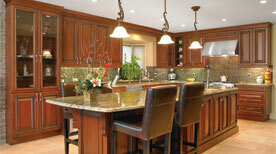 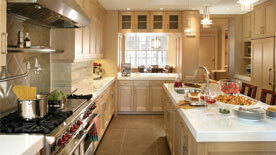 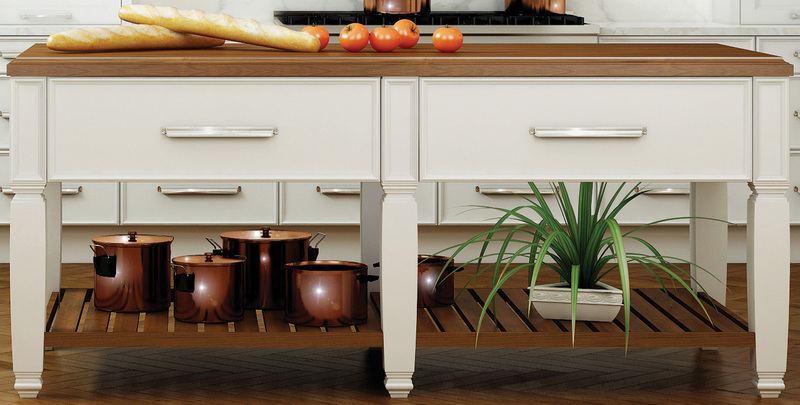 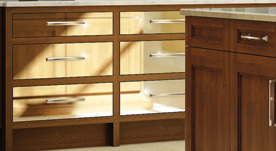 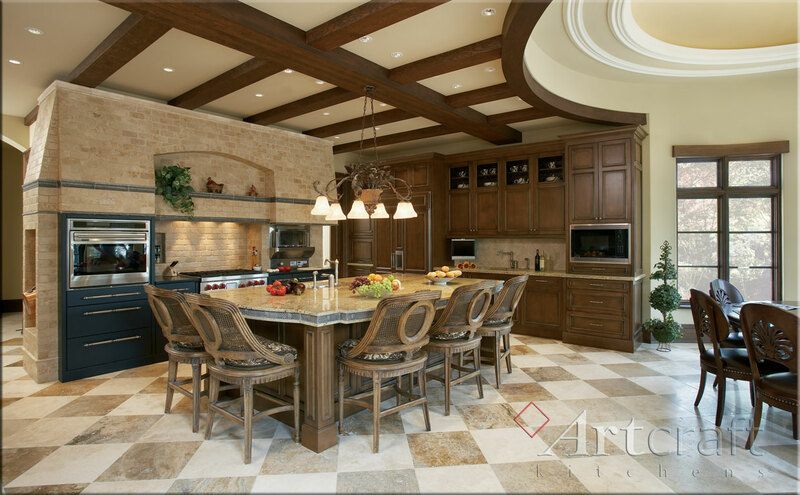 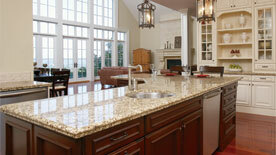 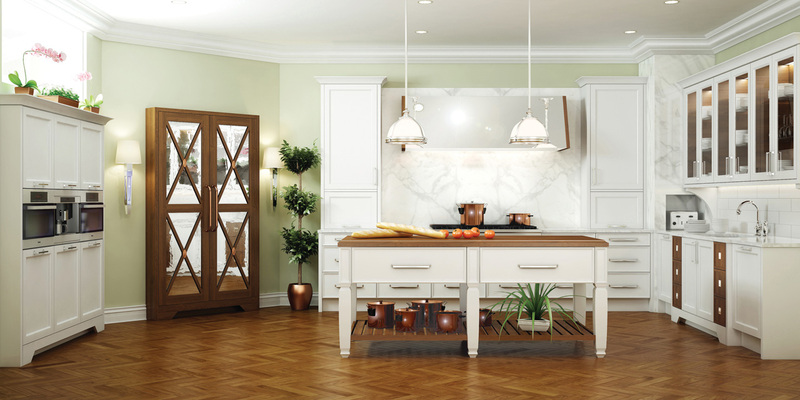 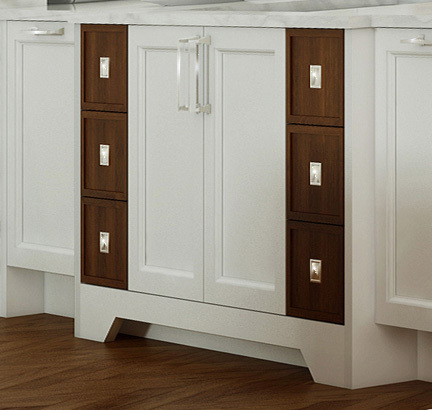 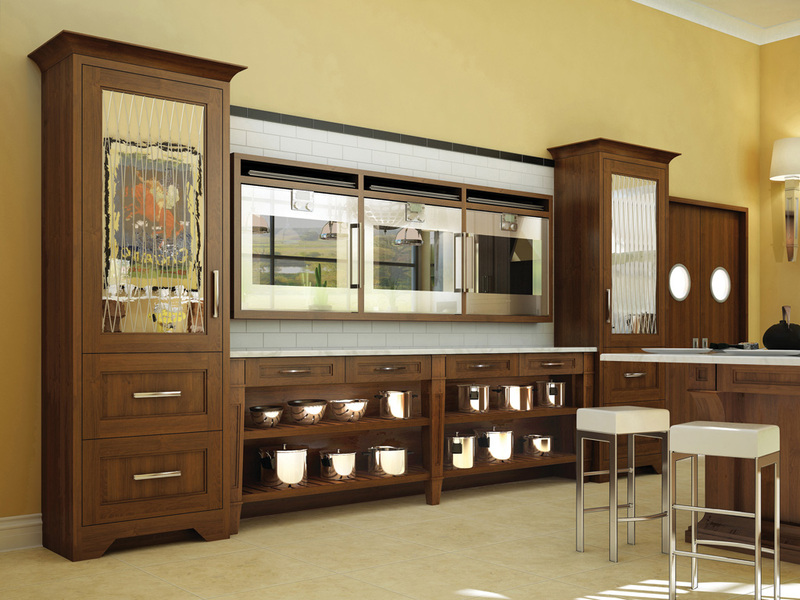 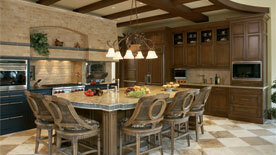 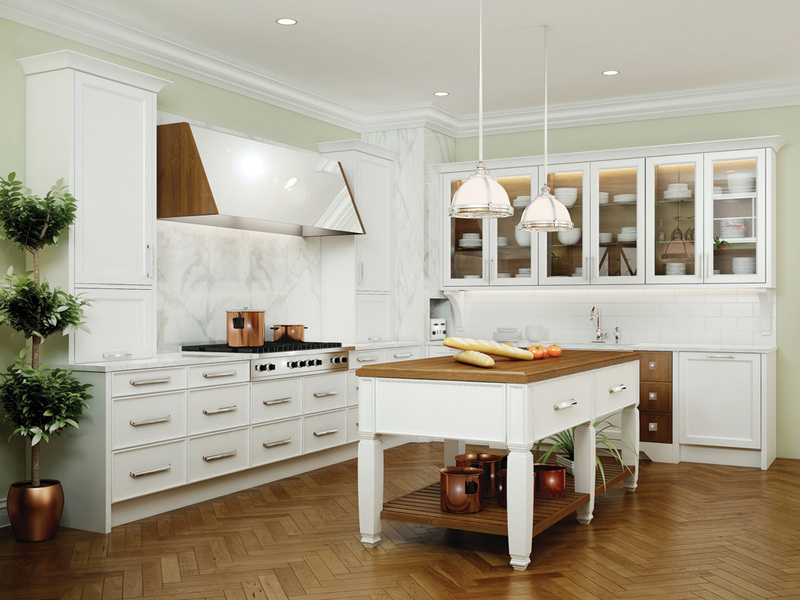 In contrast, Transitional kitchens such as Shaker designs are simple and plain with few decorative elements.